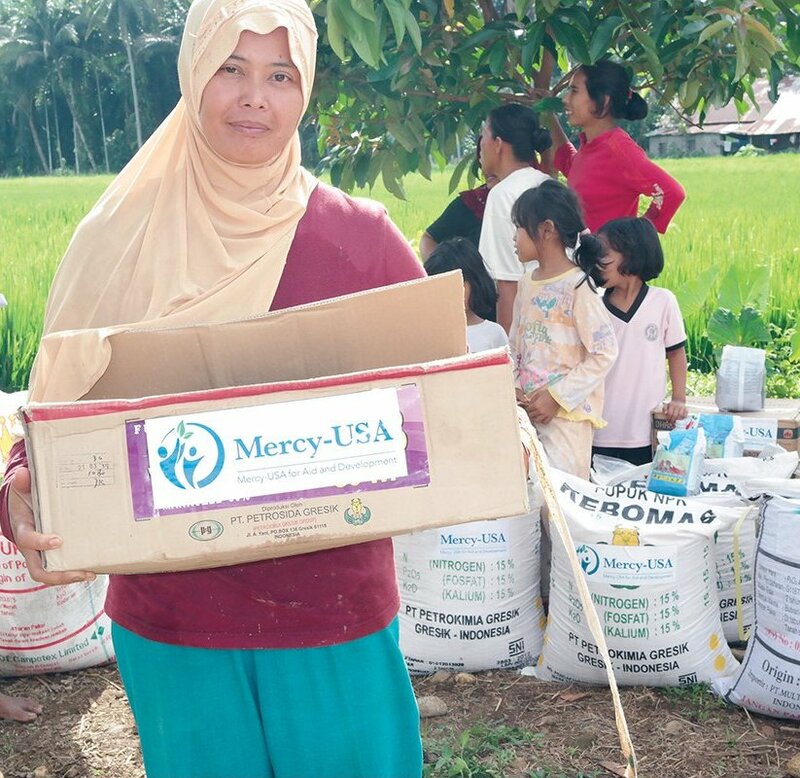 Since March 2011, Mercy-USA for Aid and Development has been providing livestock, feed-production machines, rice, corn and sweet potato seeds, fertilizer, and training to farming families in three provinces of Indonesia. Mercy-USA is also supporting and assisting these farmers to form cooperatives. Mercy-USA’s agricultural programs in Indonesia are designed to help poor farmers become self-sufficient through better inputs, growing technologies and needed equipment. Our program participants report much higher yields on their rice farms with our help. This allows them, many of whom are single mothers, to provide education for their children that was not affordable before. Our heifer program helps small farmers get a jump start out of poverty by giving them the use of a heifer to care for and breed. The calf is theirs to raise and continue to breed. The cow is passed on to the next farmer in our program. Your generous charitable gift supports Mercy-USA’s work in Indonesia.